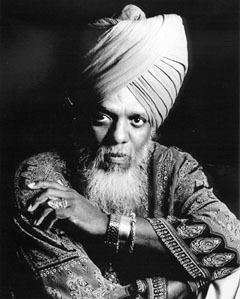 Dr. Lonnie Smith is the elder statesman of jazz organ, one of the last living links back to the 1960s and 70s heyday of Jimmy Smith, Brother Jack McDuff, Jimmy McGriff, Charles Earland, Richard Groove" Holmes, and other Hammond heroes. Lionel Loueke is a guitarist from a different generation and half a world away who mixes jazz with the rhythms of his home country, the west African nation of Benin. Both men have distinctive sounds that tend to dominate the harmonic and rhythmic directions of their respective bands. So what happens when you put them together on one stage? 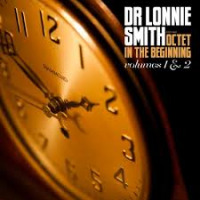 St. Louis listeners will find out next week, when Smith and Loueke team up to perform Wednesday, May 27 through Saturday, May 30 at Jazz at the Bistro. Of course, in addition to being bandleaders, both man also are quite experienced in supporting roles. 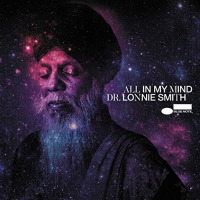 Loueke has spent much of the past decade as Herbie Hancock's guitarist of choice, while Smith has had a long-running, fruitful partnership with saxophonist Lou Donaldson that dates back nearly 50 years. While it seems unlikely that Smith and Loueke will take on the bawdy blues Whiskey Drinkin' Woman" or Donaldson's signature song Alligator Boogaloo" during their visit to St. Louis, the versions of those tunes in the clip at least give a hint of how they might interact on stage. 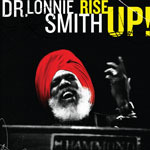 Alas, that seems to be the only video available online of Smith and Loueke performing together. They did do some collaborative gigs last year at NYC's Jazz Standard, but apparently no documentation of those shows has surfaced. So instead, after the jump you can see and hear some examples of both men leading their own bands. The next three clips all were recorded in 2014 at the Kennedy Center in Washington, DC, and feature Loueke with bassist Massimo Biolcati and drummer Ferenc Nemeth. The songs are Hiroshima," Nonvignon," and Veuve Malienne". 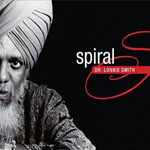 After that, you can check out Smith performing one of his signature songs, Backtrack," in March of this year at Jamboree Jazz in Barcelona, Spain. 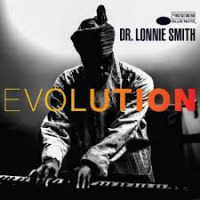 That's followed by a medley recorded in July 2015 at Jazz Panorama in Valencia Spain, in which Smith plays a free-form intro that goes into the tune Beehive." After solos and a drum break, Smith, guitarist Jonathan Kreisberg and drummer Jamire Williams then end with a version of My Favorite Things." The final clip is a re-imagining of Straight, No Chaser" in which the good Doctor offers a rather idiosyncratic set of substitute chord changes for the song's usual 12-bar blues progression. 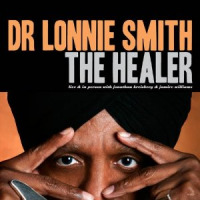 For more of Smith, see the two previous video posts made before his appearances here in 2012 and 2013; Loueke was the subject of a previous video showcase post back in 2013.